The I-9 form is a Department of Homeland Security (DHS) document used to verify a person’s eligibility to work in the US. Workers provide identification documents such as a Social Security card and a driver’s license or passport to verify their status and identity. The employer then verifies these documents and confirms the employee’s work eligibility, completing and signing the form. Federal law requires that a completed I-9 form be kept for all employees. Bambee offers affordable, on-demand HR managers to ensure small businesses stay compliant with I-9 requirements and other labor regulations. You also get help with creating internal HR policies, employee onboarding and termination, and general employer coaching and guidance starting just at $99/month for up to 20 employees. Schedule a free consultation today. 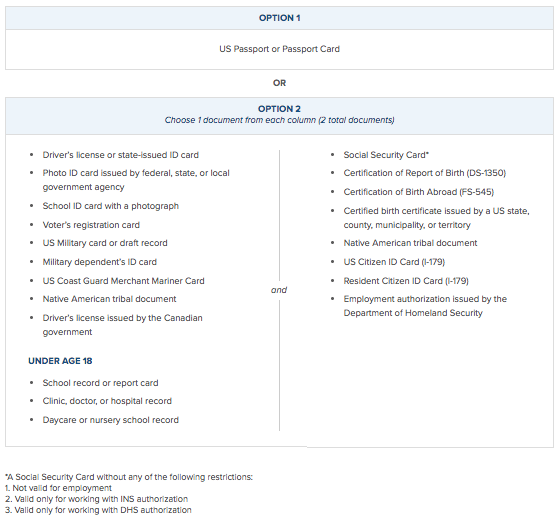 The most updated I-9 form can be found here on the DHS US Citizenship and Immigration Services website. The form itself is three pages, and the instructions are an additional 15. Both the form and the instructions are available in English and Spanish (however, only employees in Puerto Rico may complete the Spanish version of the form). There’s also an electronic version of the form. The signed I-9 form is to be stored in the business office in case the employer is audited or a government agent from the Department of Labor (DOL), DHS, or Immigration requests to see a copy. It should not be kept in an employee’s personnel file, due to confidential information that’s on it. The complete handbook for the I-9 form, called I-9 Handbook for Employers M-274, is available from the US Citizenship and Immigration Services (USCIS) website. For US citizens, the most common forms used to demonstrate eligibility are a US passport or a Social Security card and a driver’s license. If a passport is used, then no additional documentation is required. 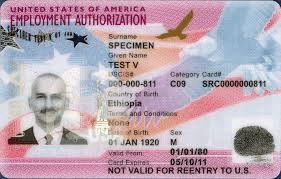 For those without a US passport, a government-issued document, school, military, or tribal ID will often suffice along with a birth certificate or Social Security card. To simplify I-9 verification, US Citizenship and Immigration Services (USCIS) provides a list of documents directly on the form. 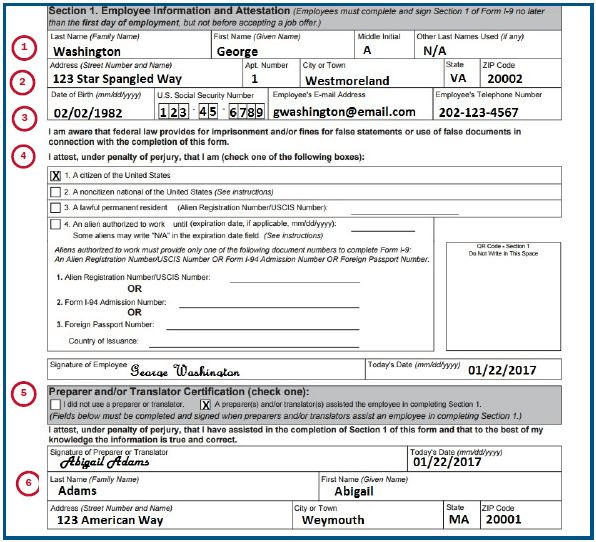 If the employee doesn’t have a US passport, they must provide two forms of work authorization: one from the column on the left (above) and one from the column on the right. 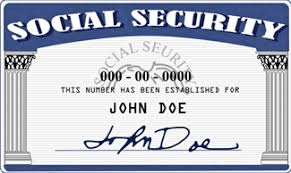 A driver’s license and Social Security card are the most common. Non-US citizens may need to provide an employment authorization or resident ID card, as they are not likely to have a valid Social Security card or US birth certificate. Examples of each of these are shown. Who Needs an I-9 Form? 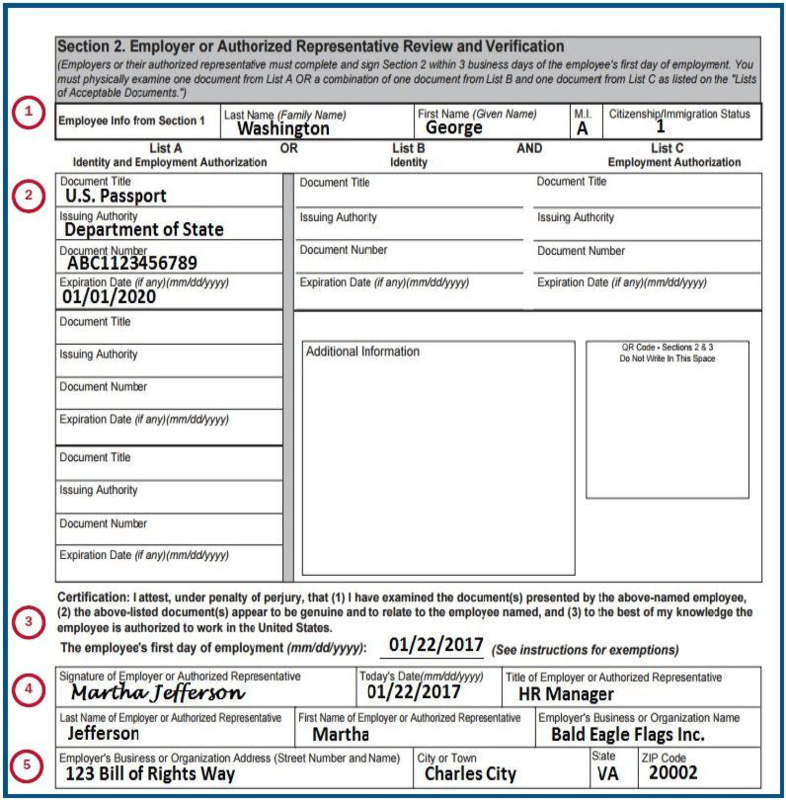 US employers need to have each new hire complete an I-9 form. 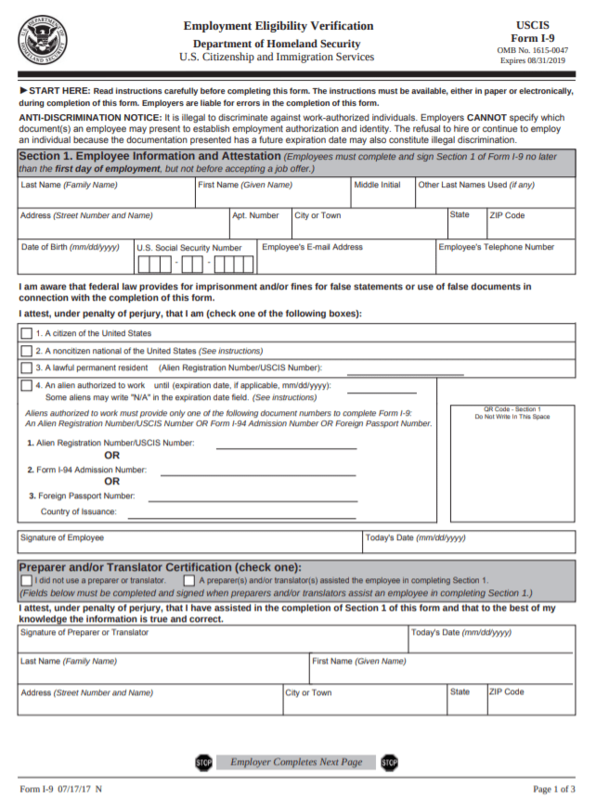 The completed form, verified and signed, is kept on file for up to three years for any employee currently employed, and up to one year for terminated employees. These documents may need to be shown to immigration officials or other government employees who may check to make sure your business is only hiring documented workers eligible to work in the US. Who Doesn’t Need an I-9 Form? You do not need to request or complete I-9 documents for contractors, temporary workers hired through an agency, domestic workers who work intermittently, or employees you hire who live and work outside the US. There are three steps to completing an I-9 form: filling it out, the employee providing their documentation, and the employer verifying the documentation. The I-9 form is completed by more than one person and may take more than one day to fill out. Section 1 is to be completed by the employer and verified by the employee on their first day of employment. It can be completed before the new hire’s first day, but not before offering the employee a job. In other words, you can’t screen out employees using an I-9 form prior to a job offer. Section 1: Any time after a job offer has been made, and before the end of an employee’s first day. Section 2: Within three days of the employee’s first day on the job. Section 3: Anytime in the future if an employee’s documentation, such as their permanent resident ID card, expires. Section 1 must be completed on the employee’s first day of employment. This section provides fields for the employee to provide their name, address, contact information, birth date, and Social Security number. US citizens would then check box one, confirming that they are a citizen of the US. Finally, the employee would sign and date the form. Complete instructions, including details such as how to manage hyphenated last names, how to format the date, and which fields may be left blank, are provided on the USCIS website. Each number in the image below corresponds to a section within the 15 pages of instructions. You can use the image below as an example of how to format the data. Some employees may want the assistance of a translator or preparer. If one is used, the translator or preparer will fill out the lower section of the document. If more than one translator or preparer is used, you can attach a supplemental form to provide names, contact information and signatures of additional preparers. Section 2 is used to verify the employee’s eligibility once the employee submits their documentation. Many employers ask new hires to bring it with them on their first day reporting to work. Nonetheless, the documentation must be provided within three business days. After viewing (and often taking a photocopy), the employer must complete and sign this section of the form. In some cases, the employee may not yet have received their documentation, even though they have applied for it. Instead, they may have a receipt. For example, an employee may have a temporary driver’s license or a receipt for their permanent resident or Social Security card. It’s OK to use those receipts as long as you verify the actual document in Section 3 before the expiration date of the receipt. 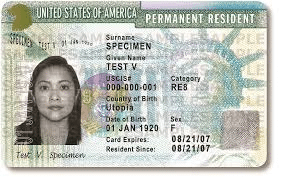 Section 3 is typically used only for non-citizens and provides a place to re-verify documents of existing employees after their current documentation expires. You may also use this section if you’ve rehired an employee and need to confirm that the existing documentation provided on their original I-9 form remains valid. This saves you from having to complete a new I-9 form for a rehired employee. Example 1: Dolly was hired using her Social Security card and her driver’s license receipt. She had just moved from another state and didn’t have her new license yet. 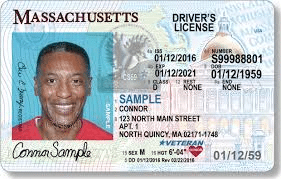 When she gets her driver’s license in a few weeks, you’ll need to document in Section 3 that you were able to verify her driver’s license is now valid. Example 2: Micah has been working for you for two years on a work visa. It expires in 12 days. You need to request a copy of Micah’s renewed work visa and document it in Section 3. Example 3: Karol returned to work after an 18-month break when having twins. 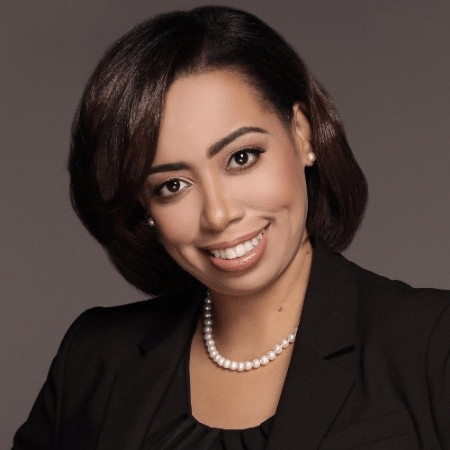 When she had originally been hired, she had an employment authorization from Homeland Security. When she is rehired, you will verify that it’s still valid and note that information in Section 3. USCIS provides an I-9 form desktop widget that makes it easy for you to request employees to complete the I-9 form online. In addition, many payroll providers provide the I-9 form in an electronic new hire packet that can be emailed to the employee. Paper forms are another option and can be downloaded from USCIS and handed or mailed to the employee for completion. Do you have a driver’s license and Social Security card? If the employee says yes to either, ask them to bring those documents with them on day one. Otherwise, you may need to go through the list of potential documents that can be used to verify employment eligibility and see which ones they may have. Having this conversation in advance of the employee’s first day gives the employee time to track down their identification documentation so they can bring it to the office when they start work. Remember, they have only three days from their start date to verify their work eligibility or they risk losing out on the job. The employer is responsible for verifying the information provided by employees. The government doesn’t expect you to be a forensic expert but does expect you’ll use common sense and due diligence when you review documents. For example, if a document clearly appears to be photocopied and modified, ask for a copy of the original document instead. 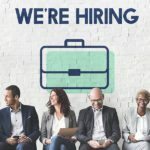 Employers can also use a government tool called E-Verify to verify work eligibility online and reduce their risk of hiring an ineligible worker. E-Verify is required in some states, as well as required for any business doing federal contract work. In some locations, use of E-Verify may be a condition of obtaining a business license. 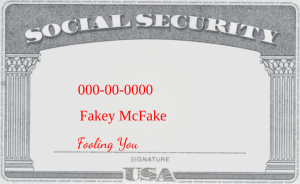 It’s possible that you’ll come across falsified identification. The USCIS provides complete instructions on how to examine documents. In general, you’re not expected to be a document expert. Therefore, if the document looks valid, go ahead and accept it. If it doesn’t look valid, ask for replacement document instead. If you feel that fraud or a scam is taking place regarding immigration documentation, you can report that on the USCIS website. However, immigrants have rights, and one of those rights is not to be discriminated against. If you’re concerned about discrimination, refer to the Justice Department’s web page on immigrant and employee rights. In some instances, there are ways to work around the lack of documentation and still comply with the immigration laws. For instance, an employee may not have the required documentation because it was lost, stolen or damaged. If the employee submits a receipt from the originating agency verifying that he or she has applied for a replacement document that evidences existing employment authorization, the employer can provide additional time for them to submit the replace document (up to 90 days, I believe). The employer can then write the word “receipt” and the title of the receipt in Section 2 of the I-9 form. If the employee has no reason why they don’t have the documents and can produce no reason why they cannot verify they are authorized to work in the US, it is best for the employer to terminate them. The employer can explain that they have a legal obligation to verify documents authorizing that person to work. If the employee cannot produce those records, they cannot, by law, let him or her continue to work. If you want to prevent undocumented workers from applying for jobs in your business, consider using an E-Verify logo that alerts job seekers that you’re using the E-Verify system. Prior to using E-Verify or their logo, you must set up an employer account. 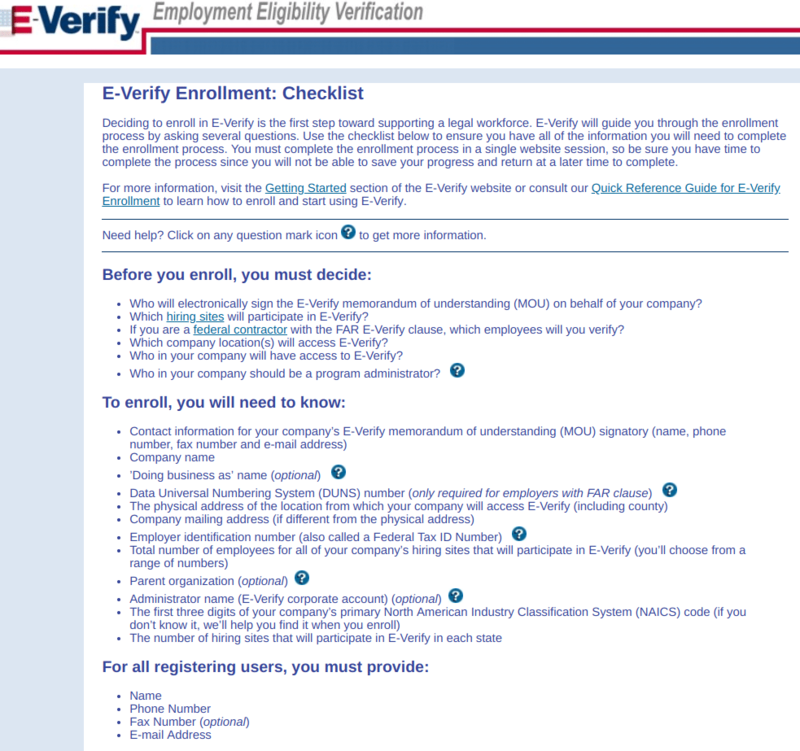 E-Verify provides this checklist so that you can gather your employer information in advance of setting up an E-Verify account. Once you set up an account, you can use E-Verify to confirm the information provided on the employee’s I-9 form. In fact, E-Verify uses the same basic information provided on the I-9 form. It’s free and may prevent you from hiring an employee who may have falsified documentation. Here’s more information on the relationship between the I-9 form and E-Verify. In addition, some background check vendors are able to verify a new hire’s employment status in advance by integrating with E-Verify as part of their pre-employment background check services. Using a background check company may save you time. Several government agencies concern themselves with legal employment, such as DHS and DHL. As such, they’ve provided helpful resources to assist your business in navigating laws and obtaining documents related to verifying employment eligibility. For example, the USCIS requires you to retain I-9 documents for one year. 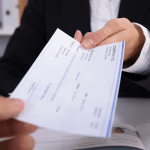 Some states may have longer payroll document retention requirements. It’s risky to keep the documents longer than they’re needed since I-9 forms contain confidential employee information. If that information is used inappropriately, your business may be held liable. I-9 penalties can range from $200 to nearly $20,000. This includes document mistakes at the lower-end, such as failing to complete an I-9 for a new hire, to willful mistakes at the upper-end, such as knowingly hiring illegal workers or falsifying records. Fines can be applied to each I-9 form, and they increase with each offense. For example, if the same mistake is made on 75 employee forms, the fines can add up. Paperwork is not typically anyone’s favorite part of running a business. But the I-9, like other required documents (think tax returns), can, when done properly, save you money by avoiding fines. 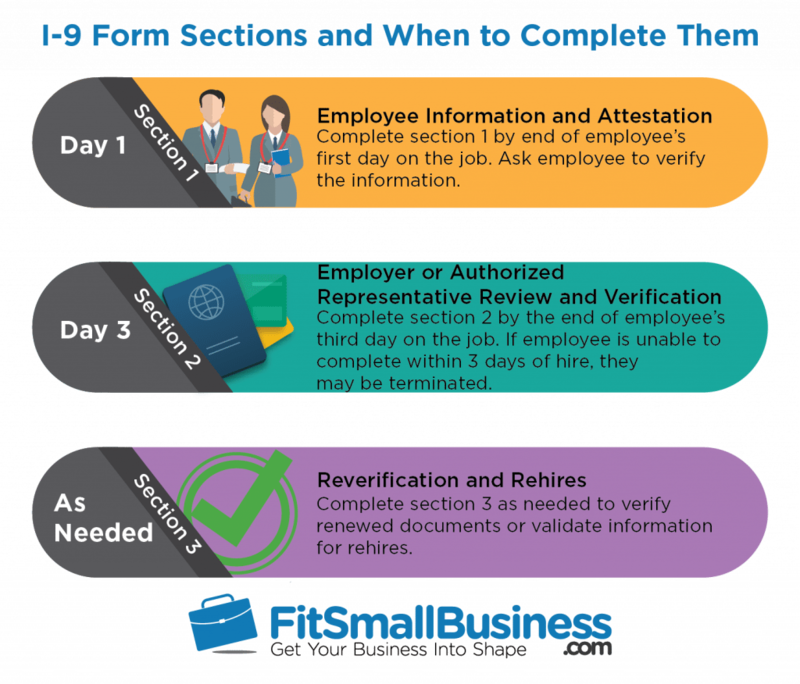 Take a few minutes to familiarize yourself with the I-9 form and requirements before your next hire. Also, consider auditing your current I-9 files to ensure existing forms were done correctly. Doing so may save you money in the long run. To ensure that your I-9 documentation and new hire onboarding are fully compliant, it’s a good idea to work with a certified HR manager. Bambee offers dedicated, on-demand HR managers for just $99/month for up to 20 employees. Click here to get started. Get your own dedicated HR manager for only $99/month!